← how to start ,configure vncserver on linux? 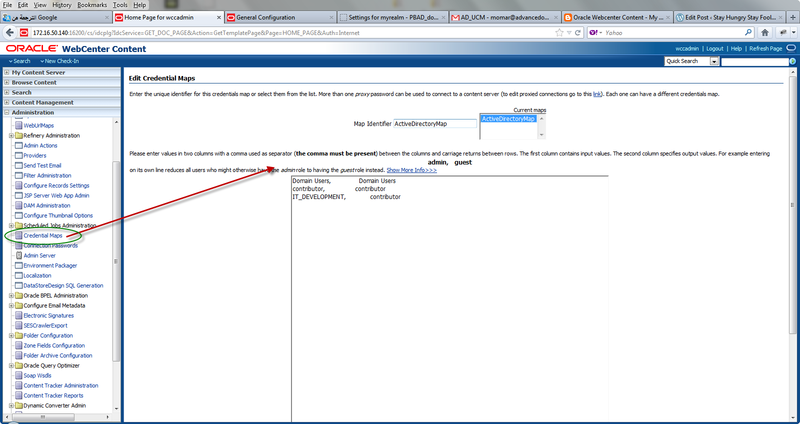 How to configuring Active Directory with Weblogic ,WebCenter ,UCM ? b. Highlight servers , then right-click and choose Delegation. c. This will start the Delegate Control Wizard. Add the audit user’s account. d. Choose Custom and select all the objects you want the auditor to manage (User, OU, etc.). e. Choose the all read permissions you want them to have . This entry was posted in Active Directory and tagged active directory, Active Directory weblogic not reterieve all users, maping Active Directory Groups with UCM Rols, not all users displayed. Bookmark the permalink.